When you are enjoying the great outdoors it is important to make sure that you have a proper water supply so you can stay hydrated. While you may be surrounded by water sources like springs, rivers, and lakes, when you are in the middle of nature, most of the sources are full of bacteria and viruses and are not safe for consumption. Although the water in the beautiful waterfall, lake, or river that you hiked to may look clean, it is important to take the proper safety precautions before drinking it. 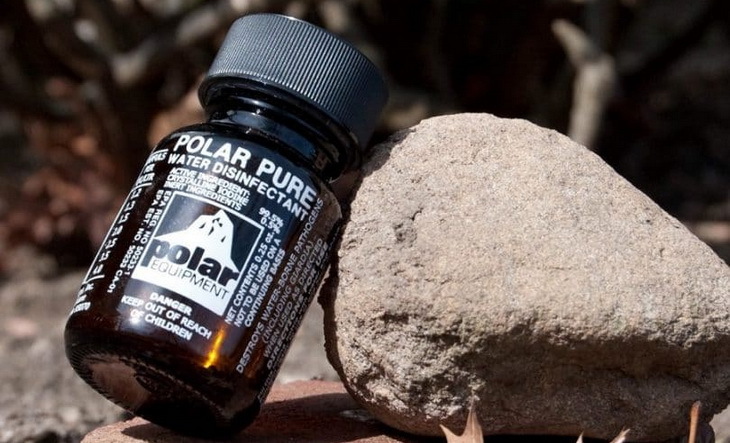 The tablets you are going to find out in this article are some of the best water purification tablets and are the perfect solution for people in the outdoors for long durations of time. 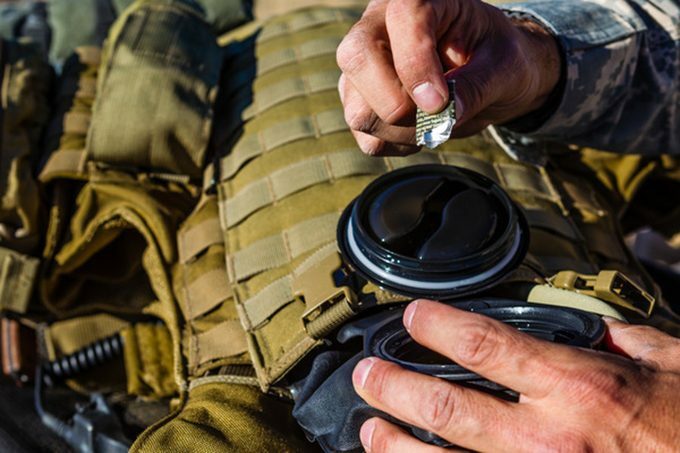 Much simpler and safer than heating up water, they are also easier to carry and cheaper than portable purification systems or water filters. 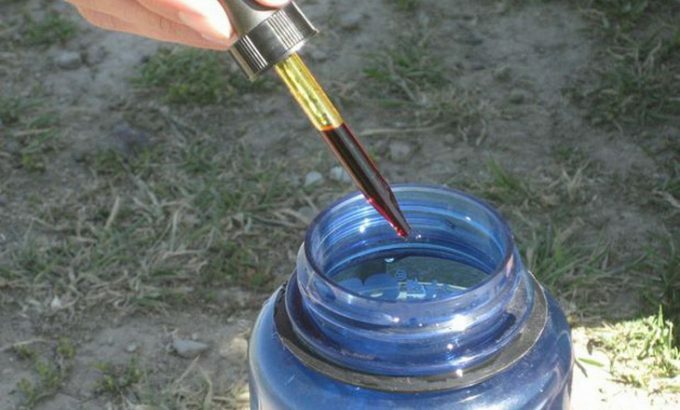 Water is heavy, so you’ll have to refill during your trip, especially if it is hot or if you are on a multi-day hiking adventure. You can go weeks without food, but our bodies can’t survive without water for even a couple days. Water purifying tablets are a lightweight, easy option to stay hydrated on the trails. There are many types of water purifying tablets, but it is up to you to figure out which one is best for you. If you take long adventures and don’t have a lot of water sources along the way, then it is best that you get a large amount of water purifying tablets that can decontaminate large quantities of water at once. If you have a lot of water sources on your trip, but you do not want to carry a big container because water is heavy then it is important that you get water purifying tablets that are fast acting and only take up to thirty minutes rather than tablets that can take four hours. Water found in nature can contain microorganisms as well as viruses that can lead to infections. When you are in the middle of the woods or hiking up a mountain, the side effects of drinking water that contains these things can cause sickness and even death. Water purifying tablets can prevent hikers from suffering from the intestinal disorder, vomiting, and diarrhea, which can all turn deadly if you are far away from help or treatment. Drinking bad water can have short term and long term consequences. You can become ill immediately or if you drink bad water for a long period of time you can develop a chronic illness. 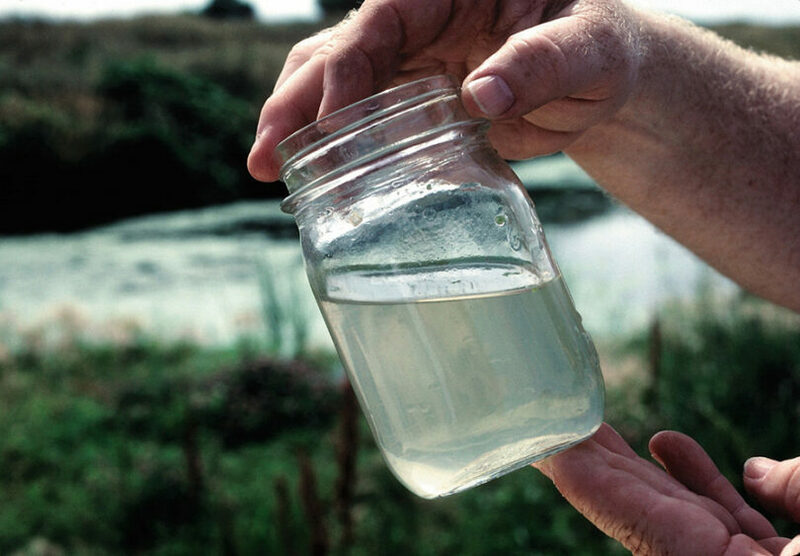 Contaminants that can be present in the water you try to drink include organic compounds like pesticides, microbial pathogens like salmonella, inorganic compounds such as lead or arsenic, and radioactive elements like radon. Pathogens like salmonella will make you sick right away. However, the other contaminants can build up in your system for long periods of time and cause diseases like cancer. Naturally, everyone reacts differently to drinking bad water, however, if you experience symptoms like nausea, cramps, diarrhea, and vomiting after drinking water you didn’t purify, you should definitely see a doctor. Iodine treatment has been shown to be slightly more effective than chlorine treatment but must be kept in a dark bottle as it is light sensitive. People also say that iodine creates a strange taste of water that sometimes can be hard to drink. However, people can be allergic to Iodine so it is important to know this before choosing a water purifying tablet. Some people who are allergic to shellfish can be allergic to iodine as well as people with thyroid problems. Children and pregnant women should stick to using chlorine tablets as well because iodine has adverse effects on them. Naturally, you can’t carry around a giant water cooler with you when you are hiking, that just wouldn’t be practical. Your water will be one of the most important things you carry, but also one of the heaviest. It is important to carry your water container close to your back and higher up so that you stay balanced and it will not cause as much strain on your back muscles. You can carry around bottles that are 16-32oz or you can carry water bladders that hold up to a gallon of water. Water bottles are perfect for day hiking trips when you have plenty of water sources along the way. Water bladders are ideal if you are going on longer trips and are not familiar with the route and want to be safe that you have enough water. Like we pointed out before the average person will need about a gallon of water on a normal hiking trip and about two gallons of water if it is a hot day. 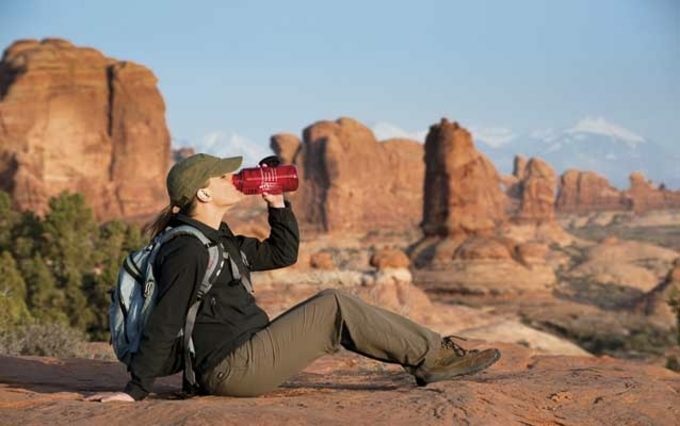 Keep in mind that while you are hiking you may not notice that you are getting dehydrated, so a general rule of thumb is to drink even when you are not thirsty because your body telling you that it is thirsty isn’t a good sign. Another important telltale sign is to watch your pee. If it is dark yellow, then you need to start drinking water fast. Mild symptoms of being dehydrated include: fatigue, headaches, and constipation, dizziness, and muscle cramps. These symptoms, however, are even worse when you are out on a hike or in the woods miles away from a campsite or doctor. It is important to take care of yourself when you are hiking and not over exert your body to the point of exhaustion. That will put you and the people that you are with, in danger. More severe symptoms include: fever, being delirious, vomiting, low blood pressure, severe diarrhea, and low blood pressure. At this point, you need to see a doctor fast. 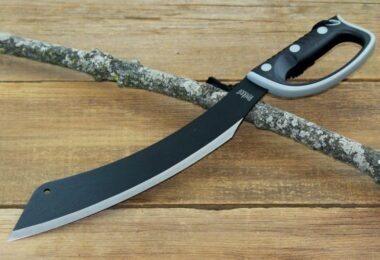 Unfortunately, if you are out in the woods or mountains, this is unable to do. Putting yourself in a risky situation like this can be avoided if you have the proper equipment to make sure you stay hydrated throughout your adventures like a water bottle or canteen and water purifying tablets. There is a wide variety of water purifying tablets on the market. 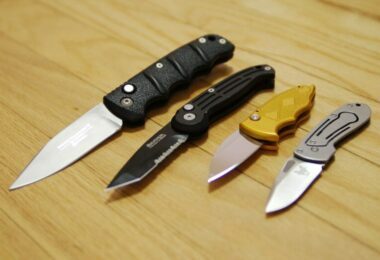 It can be hard to identify which ones might be the best for your use. It is important to remember that an average hiker goes through about a gallon of water a day when hiking and if it is hot out you go through about two. 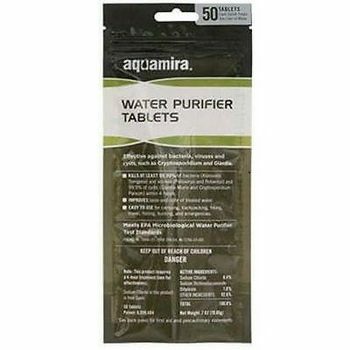 Description: This Aquamira Tactical Water Purifier Tablets is super light and easy to transport since it comes in a re-sealable pouch that only weighs about 1.4 oz. 1 of these tablets treats 1 liter of water, which is about 4 cups of water. Since this is a pack of 50 it will last you a while depending on how much water you drink during your outdoor adventures and how long they last. These are chlorine dioxide, water purifying tablets and are great for people who have iodine allergies and need an alternative to iodine based pills. This product sanitizes water well, but does not remove sediment. Another downfall is that it will take 4 hours to purify water so depending on how fast you need water, it will not be great in emergencies. These pills meet EPA guidelines as a microbiological water purifier as well. Any type of water purification tablets has its own merits and demerits. As far as the Aquamira tablets are concerned, the merits outweigh the drawbacks. So, they are a good choice. Related: We recommend you to buy the Sawyer Products Mini Water Filtration System and Aquamira Frontier Water Filter Systen. The filtration systems will improve the performance of the tablets. Description: This Coghlan 7620 Drinking Water Tablets can treat up to 25 quarts of water, and they prove effective against giardia lamblia (a microorganism that leads to intestinal disorders). One tablet will disinfect around a quart of water and they come in an easy to carry a bottle. However, some customers recommend keeping a cotton bottle in the container because the lid has a tendency to rust. This is expected since often times your bottle will be exposed to harsh elements. These tablets are cheaper than others, but also purify less water so factor that in when you are making your purchase. 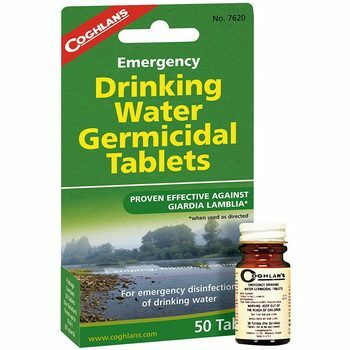 Unlike most conventional purifier tablets, the Coghlan’s tablets take approximately half an hour. However, the longer the tablets are in the water, the safer the water will be for drinking. Depending on the condition of the water, you may need to use two tablets for every quart of water. Related: We recommend you buy the tablets along with the LifeStraw Personal Water Filter. 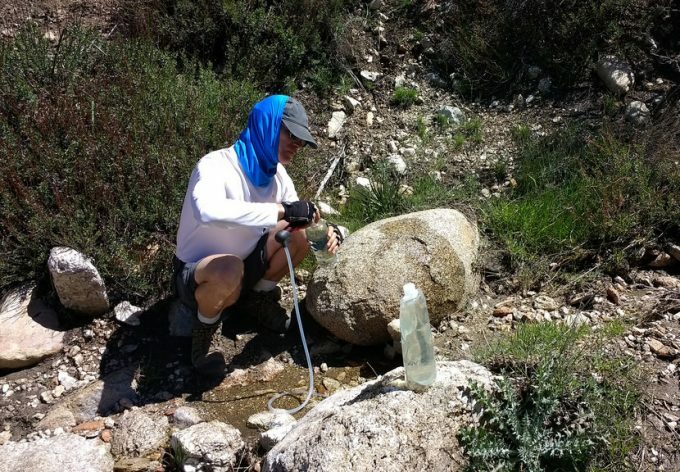 You can use the LifeStraw once you have purified the water with the tablets to ensure that the water is 100% purified. 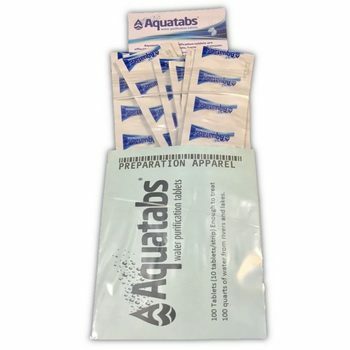 Description: These Aquatabs B00GG Water Purification Tablets are fast acting and your water will be ready to drink in about 30 minutes. While water can usually taste a little funky when you use water purifying tablets these make water taste great and doesn’t leave you with a strange taste in your mouth. This is enough tablets to treat about 100 quarts of water. Some customers have gotten tablets that are going to expire in three years (rather than the five years the package says) but say that they are much easier to carry around than a bottle of pills or liquid iodine. 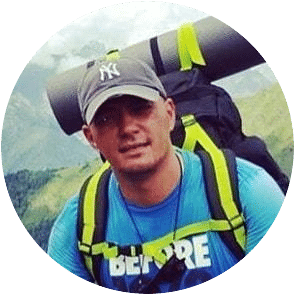 The package convenience is definitely a huge perk because you are able to only take a few pills with you at a time when you are hiking or outside rather than carrying around them all at once. The pills are individually wrapped so this allows you to cut a few off at a time, so you don’t have to carry 100 at once. Related: We recommend you buy this product along with the LifeStraw Personal Water Filter for Hiking. The LifeStraw will ensure that the water is 100% purified after using the tablets. 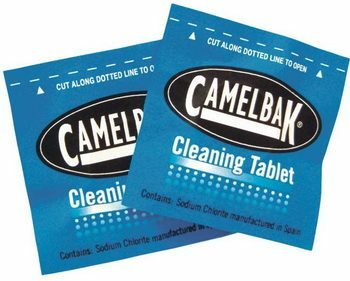 Description: The Camelbak 90601 Cleaning Tablets contain sodium chloride and are great for people with an iodine allergy. Children and pregnant women can safely use these pills without having to worry. If you own the Camelbak pack, then these are the perfect purifying water tablets for your use. 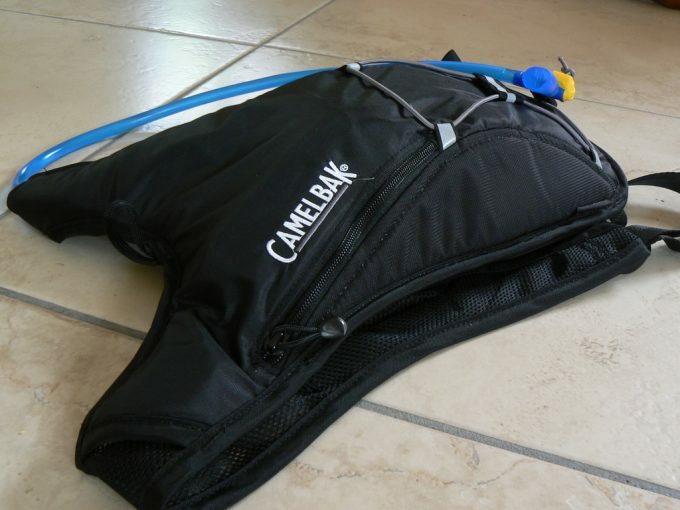 The Camelbak are lightweight, easy to backpack, and easy to use. Therefore, if you are preparing for an outdoor adventure or emergency, then you should consider these tablets. They offer you the simplest form of water purification, especially if you do not have ample time to use a filtration system. The Camelbak tablets are the ideal choice for a novice outdoorsman, because they are easy to use. All you have to do is find a suitable water source with fairly clear water, and you will be good to go. Just try to avoid muddy water, because the tablets do more of purifying than removing sediments. Related: We also recommend you to buy the Camelbak Uni Reservoir and the Tagvo XBOVY Hydration Bladder Cleaning Kit. The reservoir will offer you more clean water, and you can use the kit to keep the bladder clean. 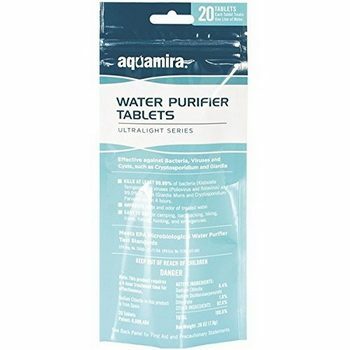 Description: These Aquamira Chlorine Dioxide Water Purifier Tablets come in a reusable storage pack, so they don’t go to waste and are an EPA Registered Water Purifier. The EPA registers any product that contains a germ-killing or germs inhibiting agents. The shelf life on these are five to six years but unfortunately it takes hours for the tablets to work which may not be best when you are in need of water outdoors or on a hike. However, you can always start the purification earlier enough. However, this does kill Cryptosporidium which is known to cause respiratory and gastrointestinal illnesses so many customers say that the wait for purification is worth it. They are also cheaper than other products, making them budget-friendly and ideal for most outdoor adventure. You can carry them during camping, hiking, and RVing among other outdoor activities. They are very reliable, because a single tablet can purify 1 liter of water. Related: We recommend you to buy the Sawyer Products Mini Water Filtration System along with the tablets. The filtration system will help get rid of all bacteria. Description: These water purifying tablets are fast acting, making drinking water safe in just 30 minutes and the water doesn’t have a weird aftertaste like many tablets produce. 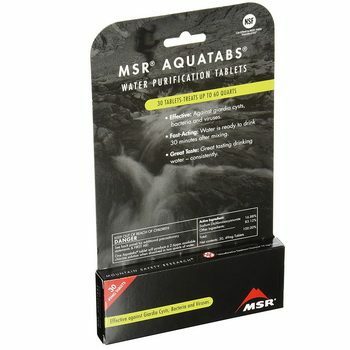 The MSR Aquatabs Water Purifier Tablets ( tablets are also iodine free so they are safe for children and pregnant women along with people that suffer from iodine allergies. This package of thirty tablets protects up to sixty quarts of water. People prefer these tabs to iodine because the taste makes you feel like you are actually drinking from the river or the lake. They have a five-year shelf life so even if you don’t have the time to get out much then you can still buy this product and be sure that they will not go to waste. The tablets are very suitable for treating water in almost all backpacking trips. However, you may still need a filtration system for effective purification of your water. Related: We recommend you to buy the Sawyer Products Mini Water Filtration System to use along with the tablets. The filtration system will ensure that the water is 100% purified. We have reached the end of our best water purification tablets reviews. The information we have provided will help you make the best purchasing decision. However, you should always go for tablets that work for you, because the performance of each brand, varies considerably. Did you find this information useful? Were you able to buy the best product that works for you? Please share your thoughts, experience, and concerns with us in the comments below. Best Spork: Who Still Carries a Fork and Spoon?